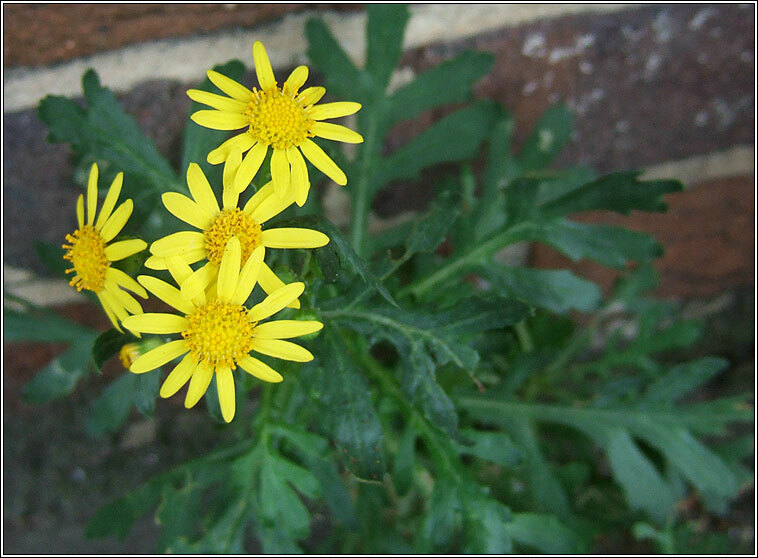 Habitat: A naturalised urban weed of dry waste ground, walls, roadsides and railway lines. Widespread throughout England and spreading north and west in Scotland and Ireland. Very variable. A spreading, bushy, almost hairless plant, the deep-green more/less pinnate leaves with narrow, pointed lobes. Clusters of yellow flowers with 12-15 rays (but usually 13) and black-tipped bracts. 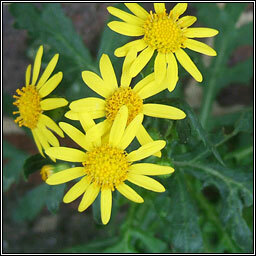 Similar: Common Ragwort, S. jacobaea. Smaller flowers, June - October.